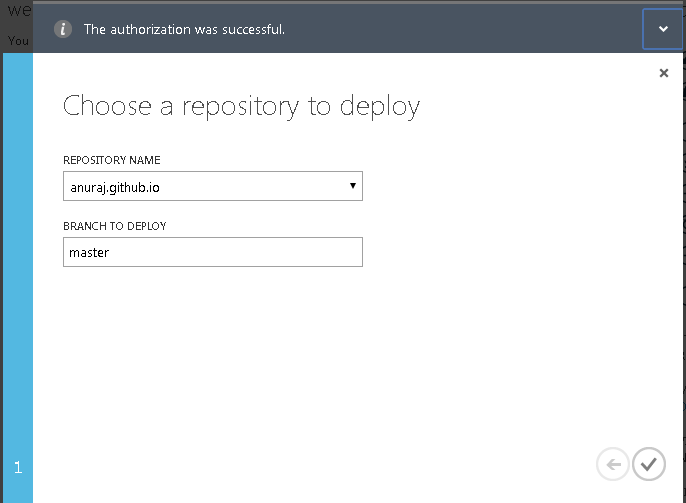 Windows Azure websites supports Continuous Deployment. Continuous Deployment can be thought as an extension of continuous integration, where when ever users commit a changeset, build will be triggered. And in case of Continuous Deployment, the changes will be published to your live application directly from source control, when ever user commits a changeset. This is a fantastic automation feature that can be leveraged from a range of source control tools such as Visual Studio Online and others (GitHub, BitBucket, DropBox, CodePlex, or Mercurial) . Azure websites supports staged publishing (it is in Preview state) as well, so if you don’t want to publish your changes direcly to live, you can deploy it to staging and verify it. Once verification is completed, you can push the staging to live. Now select GitHub from the list. 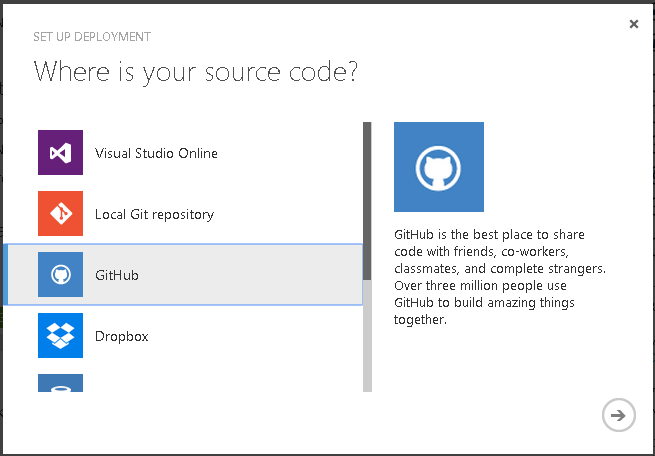 Azure will popup GitHub authentication and authorization window, once you authorize, you need to select the source code repository. Once you choose source code repository, if the repository contains source, it will be pushed to the live environment. To verify continues deployment, you can modify the source and publish the changes. In this post I have enabled Continuous Deployment for a HTML5 single page application. Now I am integrating VisualStudio online Application Insights code to the HTML page. Now commit the changes (I have added a description - “Application insights code added Application insights code added”) and publish the source code. 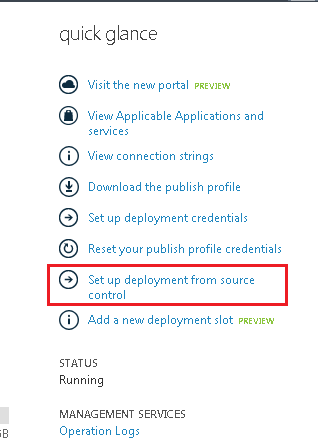 You can verify the Deployments Tab in Azure portal and can see the changeset applied. I will post about staging deployment later.